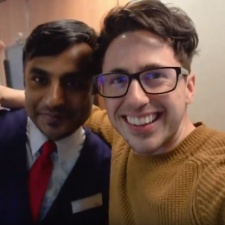 The London North Eastern Railway (LNER) train operating company is running an influencer-led social media campaign to showcase the stories behind people’s travels. The agency got together with a number of different influencers to create content that focuses on stories to and from different destinations. The campaign focuses on the East Coast Main Line and includes places such as Edinburgh, Leeds, and York. The campaign itself ties-in with LNER’s slick new look for the brand, which was rolled out back in September. Creative director of TMW Brian Brady, the agency working with LNER on the campaign, spoke on the campaign. “LNER champions the people and places of the East Coast, and this campaign brings that spirit to life in a genuine, cockle-warming way," Brady said. The finished adverts will range between 6 and 60 seconds long. They'll be rolled out across social platforms including YouTube, Twitter, Instagram and Facebook, until the end of April.